Born in Detroit Michigan in 1949, Wendy is the 5th and youngest of a blue / collar / car / plant family. Her father, descended from generations of alcoholics, worked like a dog and drank like a fish. His leftover pay hardly supported the family. Mom worked 3 jobs housekeeping. (Dad only knew of two jobs). 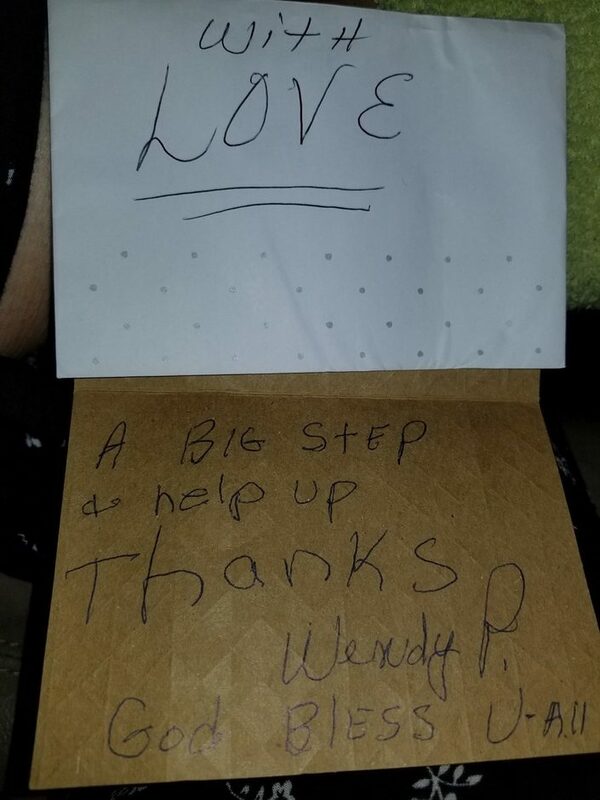 Weekly, mom gave Wendy cash from the secret job, told her to deposit into the bank and promised her children three things; 1. Her children would one day live in a house, 2. Her children would graduate high school, 3. She would whip the snot out of her children if they ever drank/did drugs/or were lazy. Mom bought that house/paid cash for it. Dad was drunk the day they moved and not given the new address. They divorced, he remarried and never supported his children. All the children studied hard, worked, stayed close to home and abstained from the "spirits and dope". Mom assisted her three boys thru college. Wendy and her sister had their own housekeeping service. The girls each married & put THEIR children through college Wendy, now 67 and widowed 30 years, left Detroit 10 yrs ago to come to Enterprise to care for her aging mom and uncle in their final days. Wendy's dad is 88, still in good health and still lives in Detroit. Wendy put her three children through college. Her two son's both work hard and are good parents and role models. Her only daughter has 3 degrees! With all those "smarts" daughter "forgot" to come home one day last summer. She abandoned her 16 year old son with rent due, no food and no utilities. Naturally Grandma took him in. And then last week her neighbors moved and "forgot" their grey cat. The cat came to Wendy's door. Wendy took the cat in also. The new roommate was named Smokey. Ten years ago Wendy was in a car accident. Rods are in her back. She suffered a closed head brain injury and cannot control many functions. Her comfort items are not affordable on her social security income. Her income is stretched thin. Yet she has told her grandson the same thing HER mother told HER. (Sans the house.) She knows owning a house now is not possible. But she still has the photo of the one she grew up in. She couldn't remember the address at first. Then she cried and remembered it clearly; 68 Gladwin Ave. Then she remembered where the photo of it was. Wendy wanted all of us to know she cannot take credit for her children's accomplishments or failures. She did her best. Her life was enough. Then it wasn't; she had another child to raise. Wendy was overwhelmed with the holiday food (and the other essentials we supplied). Her appreciation was immeasurable. 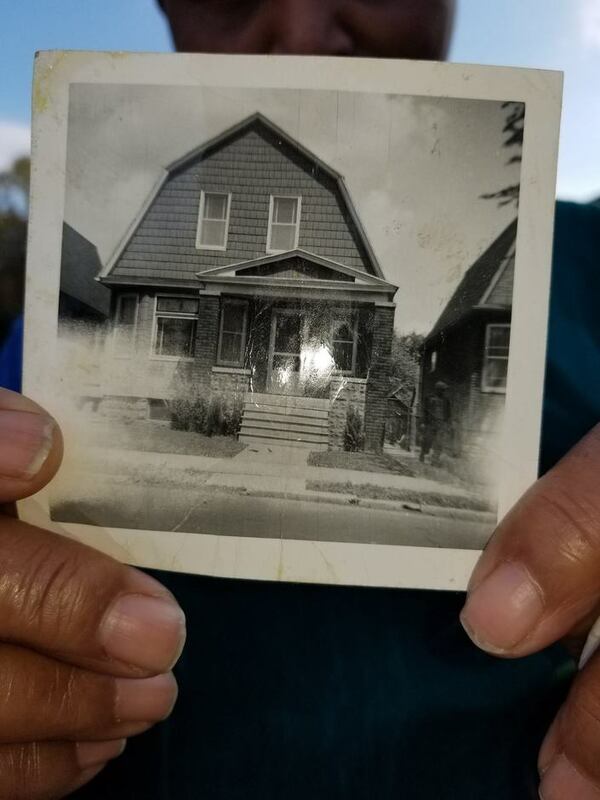 She sent a thank you note and insisted I show y'all her photo of her childhood home. It was important to her that you know her beginnings. That I show you her first home. (The home was razed long ago.) And so I have done what she has asked. And of course, her door is always open for our visits. PAY IT FORWARD.